Whether you need an X-ray or skin test for tuberculosis, the team at Revive Medical Urgent Care offers a broad range of health screening services. Their location in Oklahoma City, Oklahoma, offers advanced, on-site medical services seven days a week. Call ahead, schedule an appointment online, or walk in for timely service. What medical services can I get from an urgent care clinic? 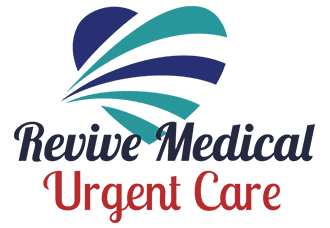 The team at Revive Medical Urgent Care is committed to providing clear and reliable information about their services, physicians, and procedures. The knowledgeable staff happily answers any questions you may have to ensure a smooth and comfortable experience. X-ray is one of the oldest and most well-established medical imaging tests. Revive Medical Urgent Care uses digital X-rays, which provide an instant display of your bones on a computer screen. In addition to producing faster results, digital X-rays make it easier for the team at Revive Medical Urgent Care to send your X-ray images to your primary care physician. They may use an X-ray to diagnose broken bones or look for abnormal growths inside your body. X-rays are painless and don’t require any preparation on your part. An electrocardiogram (EKG or ECG) is a test that records the electrical signals of your heart. The team at Revive Medical Urgent Care may recommend an EKG to monitor your heartbeat or check for irregularities with your heart, such as arrhythmia. EKGs are painless tests that only take a few minutes. During the test, a provider at Revive Medical Urgent Care attaches small sensors called electrodes to your chest and limbs. These electrodes only record your heart activity and don’t send electrical energy through your skin. Afterward, the team at Revive Medical Urgent Care may send the EKG results to your primary care physician or recommend seeing a specialist. When would I need health screening services? Often, you need certain health screenings to enter school, start a new job, or play sports. The team at Revive Medical Urgent Care offers health screenings for a variety of needs, including TB skin tests or drug and alcohol screenings that may be required by an employer. For same-day medical services, call, book an appointment online, or simply walk in to Revive Medical Urgent Care.